Millions of Americans suffer concussions each year, and many endure symptoms for months or years afterward. 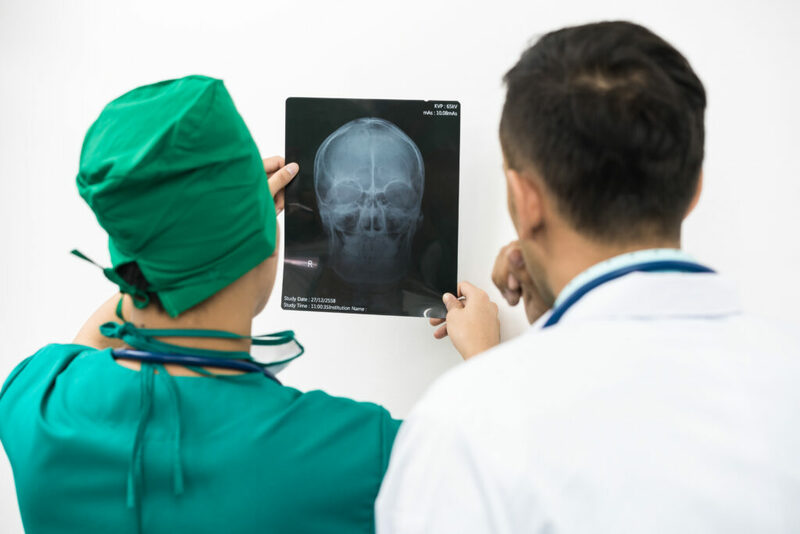 But a JAMA Network Open study of 831 patients sent to top-level trauma centers for a concussion or mild traumatic brain injury (mTBI) found that only 44 percent saw a physician or other provider within three months of their injury, a critical period for care. In addition, only 47 percent received educational materials about their injury before they went home. The researchers, including Schaeffer Center faculty Seth Seabury, Dana Goldman, and Ettienne Gaudette, used data from the ongoing Transforming Research and Clinical Knowledge in Traumatic Brain Injury study, or TRACK-TBI. Supported by the National Institute of Neurological Disorders and Stroke, the TRACK-TBI study has collected detailed information, including CT/MRI imaging, blood bio-specimens and detailed clinical outcomes, for more than 2,700 brain injury patients from 18 different U.S. sites. Seabury and his colleagues examined data on TRACK-TBI patients ages 18 and older who were enrolled in the study between early 2014 and mid-2016. The data included such medical information as CT scan results, injury characteristics and the patients’ admission score on what’s known as the Glasgow Coma Scale (GCS). The GCS aims to rate the consciousness of patients who have suffered an acute brain injury. Scores range from 3 at their most severe to 15 at their mildest. Patients in the study had GCS admission scores of 13 to 15. The patients completed surveys about their follow-up care at two weeks and three months post-discharge. The researchers found a gap in care even for 236 patients (28 percent of the sample) whose head CT scans indicated that they had a lesion, a sign of brain injury. Approximately 40 percent of those patients did not see a physician or other health provider three months after discharge, the researchers found. Also, 279 patients (34 percent of the sample) had three or more moderate to severe post-concussive symptoms three months post-discharge, which should be examined by provider. But only 52 percent of them had a follow-up visit, the researchers found. The complete study can be found at JAMA Network Open. The study was supported by a grant 5U01NS086090-02 through NINDS at the National Institutes of Health. Seabury also received funding via an unrestricted grant to the Department of Ophthalmology at the Keck School of Medicine of USC from Research to Prevent Blindness in New York.